Do you believe, or do you question? Come for snacks and politics! The evening will begin with some out-takes from family-man-turned-filmaker, David Hooper's film, "Anatomy of a Great Deception". The film explains how after almost 10 years after 9/11, he begins his own 9/11 investigation by asking one innocent question and how within months, his belief system is in shambles and he's been tuned-out by those closest to him, including his wife, mom and sister. The film is his effort to make those closest to him understand the 9/11 deception. Questioning the official story of the September 2001 attacks and the true nature of the War on Terror is still relevant for the world today. Policy change begins with the grassroots exchange of ideas, and connecting to people in your community. 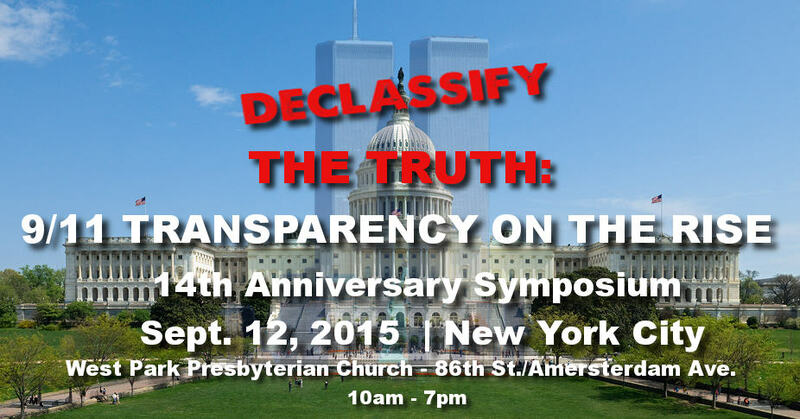 Please join other concerned citizens to learn about the use of 9/11 propaganda and staged events to manage public opinion. As you walk from the Bethesda Metro bus bay area it will be on the left hand of the street. Walk in the door and turn to your left and take the elevator to the 2nd floor. Exit on the 2nd floor and turn right and Room A will be straight ahead on the left. Come at 6:00 PM for dinner with the speaker or at 7:00 for the beginning of the presentation. WHO: Barry Kissin, Attorney and Journalist based in Frederick, MD, home of Fort Detrick, the supposed source of the anthrax attacks of Sept./Oct. 2001. WHAT: Ultimately, the U.S. Government had to acknowledge that the mailing of the anthrax letters in Sept. and Oct. of 2001 was an inside job, thus also conceding that these were false-flag attacks. The evidence is clear that the source of the attacks from within the American "bio-defense" program could not have been the lone nut (Bruce Ivins, scientist at Fort Detrick) designated by the DOJ/ FBI. The source must have been anthrax weaponization projects then being conducted by the DOD, the CIA and the DIA. The evidence is also clear that the original plan that fell apart was to make it appear that the 9-11 attacks and the anthrax attacks were a one-two punch orchestrated by the same Muslim "terrorists" (with help from Iraq). Indeed the 9-11 attacks and the anthrax attacks were a one-two punch -- orchestrated by the same powerful insiders. 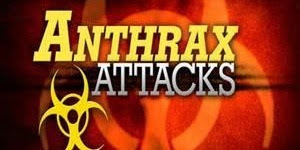 In Dec., 2014, the U.S. Government Accountability Office (GAO) issued its overdue report that further debunked the FBI's version of the anthrax attacks, but completely avoided the critical evidence of how the attack anthrax was processed/ weaponized. In April, 2015, Richard Lambert, director of the FBI's anthrax investigation from 2002 to 2006, filed suit against the FBI in which he stated that the FBI concealed a "wealth" of evidence contrary to its version of the attacks. In May, 2015, Newsweek published an article about Matt DeHart, now in a Federal prison in connection with discovering official documents said to "show that the FBI looked into whether the CIA tried to frame jihadis for the anthrax attacks and that the White House quashed that part of the investigation." Campaign to Declassify the "28 pages"
WHAT: Bi-partisan members of Congress are telling us that the suppressed "28 pages" from the 2003 report on the Congressional investigation of the 9/11 attacks reveal that the alleged 19 hijackers did not act alone, and that the necessary "support network" underlying 9/11 included the government of Saudi Arabia that continues to support anti-American "terrorism" with impunity. The constant, never-ending, doom-defying Global War on Terror (GWOT) as well as relentless attacks upon civil liberties in the U.S. spring from lies about the attacks of 9/11. 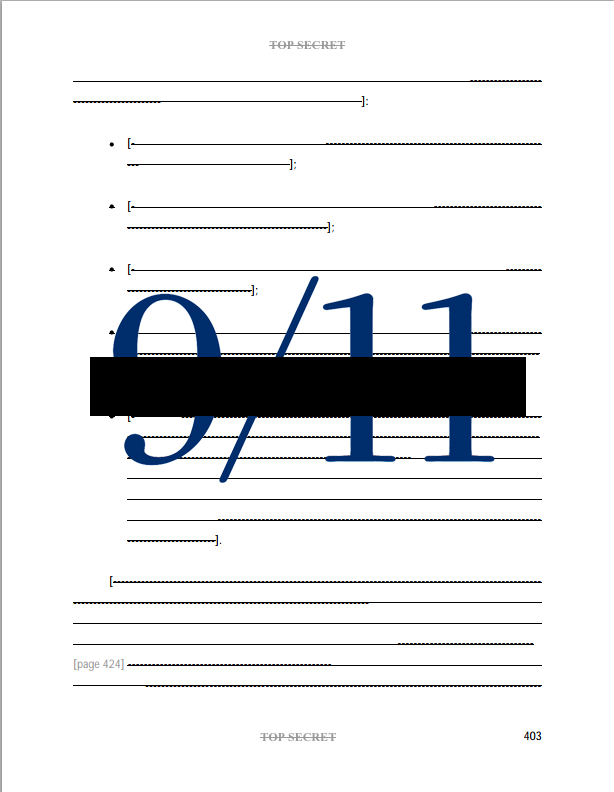 The 28 pages open the door to the truth about 9/11 and the truth about the GWOT. Saudi Arabia acts as a proxy for the American neocons, at times appearing to fight the "terrorists," but in other ways keeping the GWOT alive by supporting the "terrorists." Accordingly, it is now clear that within the past few years, both the CIA and the Saudis have supported the emergence and viability of the terrorist organization du jour, namely ISIS. In spearheading the campaign for declassification, former Senator Bob Graham (D-Fl.) has made it clear that much of the Saudi money that helped finance 9/11 was funneled through the Embassy of Saudi Arabia. The Ambassador from Saudi Arabia at the time was Prince Bandar bin Sultan, the individual George W. Bush nicknamed "Bandar Bush," due to his very longstanding and close affiliation with the Bush family. During the scandalous Iran-Contra dealings largely managed by then V.P. George H.W. Bush, Bandar by his own admission played the role of both moving money to the Contras and arms to the Iranians. In Dec., 2013, the N.Y. Post published "Inside the Saudi 9/11 Cover-up," that reports Bandar met with President Bush two days after 9/11: "The two old family friends shared cigars on the Truman Balcony [of the White House] while discussing the attacks." Michael Moore focused on the Bandar-Bush connection in his film Fahrenheit 911. On June 2, 2015, one of the sponsors of pending legislation to declassify the 28 pages, namely Rep. Thomas Massie (R-Ky.), stated that these pages contained our "best intelligence" for preventing another 9-11. Massie has also stated that "I had to stop every couple of pages and ... try to rearrange my understanding of history ... It challenges you to rethink everything." Bob Graham refers to the suppression of the 28 pages as a "cover-up." Why would the Bush administration followed by the Obama administration want to "cover up" what Tom Massie calls our "best intelligence" for preventing another 9/11? New York City: We are at a unique and critical juncture at the 14th year after the events of 9/11. Several developments are providing great potential for spreading wider awareness of the alternative research on 9/11. New opportunities have emerged providing a platform for activists to work to achieve accountability, justice, and comprehensive human progress by taking action to the next level � the political arena. 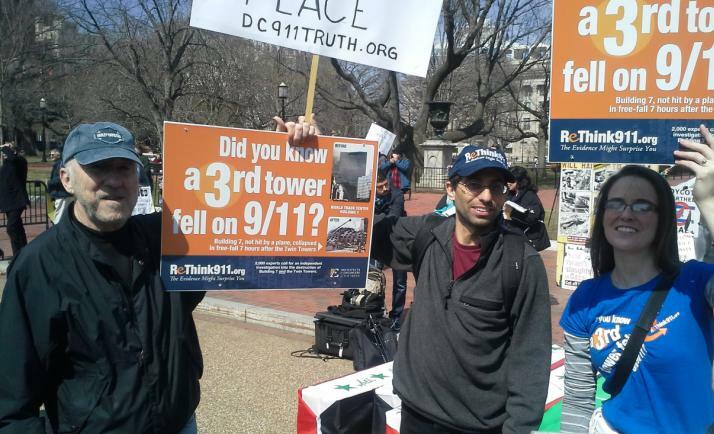 DC 9/11 Truth endorses March 2015 anti-war protests in DC! Demonstrating that the declassification of a 28-page finding on foreign government aid to the 9/11 hijackers remains one of their highest priorities as the new Congress convenes, Congressmen Walter Jones and Stephen Lynch and former Senator Bob Graham will host a press conference in Washington on Wednesday, January 7 at 9:30 am. The event will serve to draw attention to House Resolution 428, which, if passed, would urge the president to declassify the 28 pages. Jones, Lynch and Congressman Thomas Massie will introduce HRes 428 into the 114th Congress. Originally introduced in December, 2013, the resolution garnered a highly bipartisan mix of 21 cosponsors in its first year. In a sign of the resolution's momentum, more than half of those cosponsors signed on in just the last four months of 2014. Graham served as a co-chair of the joint Congressional inquiry that produced the report that contains the 28 pages and has been an ardent advocate of their release. He has also helped efforts by BrowardBulldog.org to learn more about what the FBI knew about terror cells in Sarasota and elsewhere. Graham has said that George W. Bush's classification of the 28 pages--and the continuation of that secrecy by the Obama administration--helped enable the rise of ISIS. Graham's thoughts on the issue may hold extra sway with one particular incoming freshman member of Congress: his daughter, Gwen Graham, will be sworn in on Tuesday. September 11 family members will be in attendance, including representatives from 9/11 Families United for Justice Against Terrorism. The press conference will be held in Room 121 of the Cannon House Office Building.